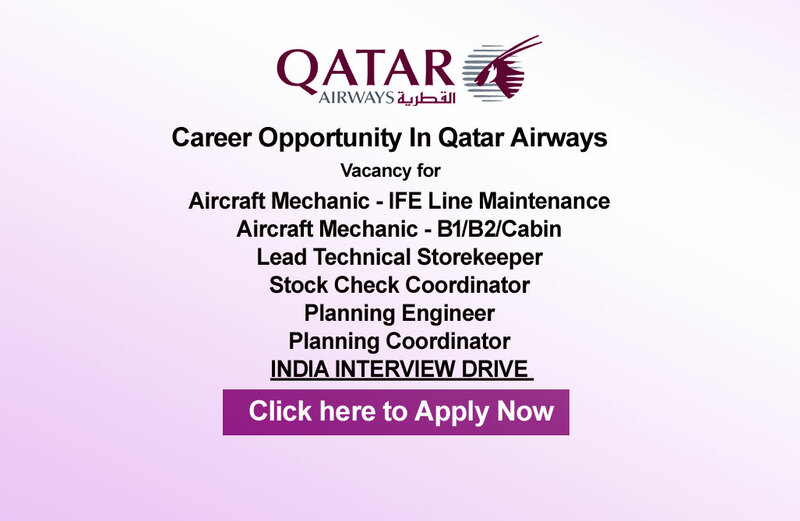 Qatar Airways recruitment will be coming to Mumbai to recruit for Doha-based positions in the Technical Engineering Division. It is an opportunity for individuals who have strong technical skills and interests to take a hands-on role in Qatar’s National Airline. Graduate from a recognized aeronautical or a Technical college with solid aircraft maintenance background are welcome. Applicant must have in depth knowledge of aircraft maintenance fundamentals . MRO or an Airline experience will be an advantage.